Thanks to a generous contribution by Sanofi, Raritan Valley Community College Nursing student Jennifer Macri of Pattenburg and her classmates are gaining valuable, hands-on medical experience before they step foot in a hospital. Macri, a second-year Nursing student, and her fellow students are being trained on campus in a Nursing Simulation Lab that was completely renovated with a $125,000 donation from Sanofi. “The Nursing Simulation Lab allows us to practice actual nursing interventions and skills before we go out into the hospital setting to perform them on live patients. It also gives us the opportunity to be in situations that perhaps we may not be able to observe or be part of in the clinical setting, based on the patient population at the time,” said Macri, who hopes to work in emergency nursing or the ICU. 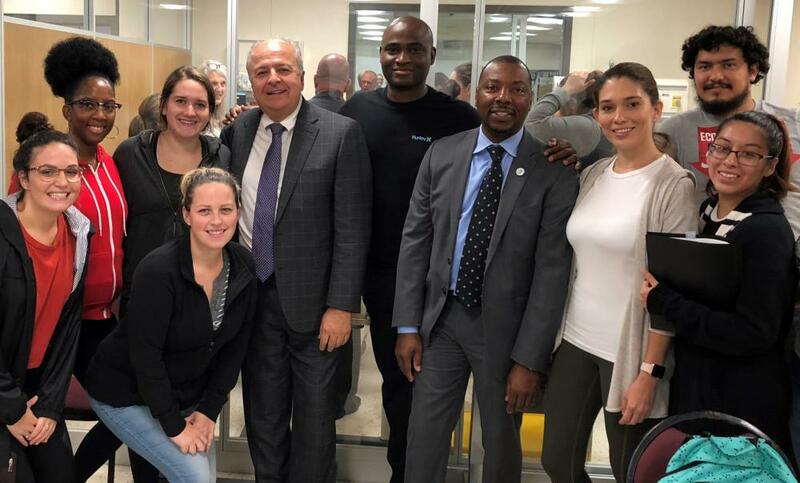 The lab was officially opened last semester at a ceremony attended by members of Sanofi’s leadership team, including Clint Wallace, Head of Human Resources, North America, and Global Head of HR, Digital and Analytics, Sanofi. "This is truly a creative breakthrough. We couldn't be prouder than to have our name on the Sanofi Nursing Simulation Lab," said Wallace, who is also a member of the RVCC Foundation Board. "We know intimately that our ever-changing healthcare system is complex and this lab will help better prepare students to meet the needs of patients. The importance of providing access to healthcare in all respects is at the heart of our company and the ability to educate nurses and help them deliver healthcare in a more robust way is outstanding." The Nursing Simulation Lab includes two glassed-in simulation scenario rooms, high-fidelity mannequins, and a control room. Through the use of a one-way mirror in a separate room, instructors can watch the students treat “patients” or film their efforts and discuss their work afterwards. The electronic simulation mannequins can perform a number of functions, offering students experience caring for or monitoring patients. These functions include sweating, blinking, becoming cyanotic (blue), breathing, and having a heartbeat. One of the female mannequins is even able to give birth to a newborn that can experience multiple complications. 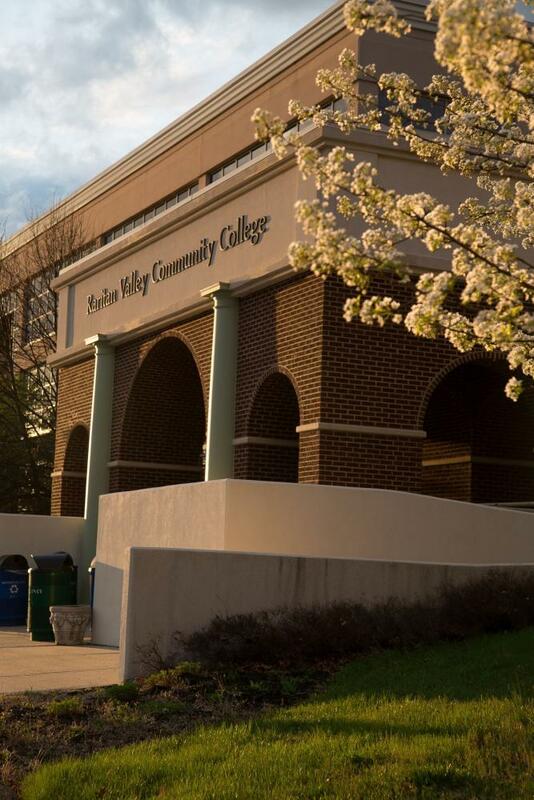 “Simulation as a teaching strategy is currently used nationally to enhance nursing students’ ability to develop critical thinking, clinical reasoning and problem-solving, which are all pertinent to patient care,” said RVCC Professor of Nursing Beryl Stetson. “In a simulation lab, students can be exposed to so many more issues than they would be at one time in a clinical setting, added Stetson, Chair of RVCC’s Health Science Education Department. The lab also includes a 55-inch, wall-mounted television for the nursing computer room that enables students to view debriefing videos as continuous teaching tools. The television was donated by Nursing Professor Kathleen Krov, who recently retired from RVCC. “The Nursing Simulation Lab will help us to better prepare our students and allow us to empower them to be ready to hit the ground running,” added Stetson.